In time for Teen Dating Awareness and Prevention Month, the Texas Council on Family Violence has released Creative Action for Equality: A Toolkit for Change. 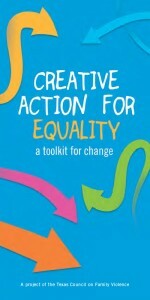 Written for youth, this toolkit describes twelve creative actions that youth can take to promote gender equality, healthy relationships, and nonviolence. Creative Action Plan #3: Write Lyrics in a rap, song, or poem that expresses how what healthy relationships look like. Creative Action Plan#6: Talk Back to Ads where youth use their voice to add a different message to ads that promote sexism or violence. This is down beautifully by Powered By Girl’s ad contact of the week that invites alterations to offensive ads. Check out the ad gallery. Creative Action Plan #10: Vox Pop Your World with a conversation in your community about this subject. 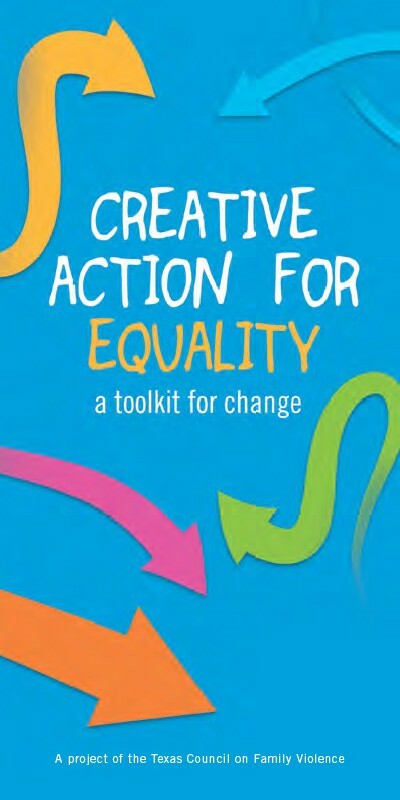 Check out all twelve creative action plans by downloading the toolkit which are available along with a Facilitators’ Guide, and accompanying materials on the Create Action for Equality (CAFE Project) web site. What creative action are you going to do? Thank you for sharing our guide! We believe powerfully in the potential of youth to transform culture in positive directions through media and art. We hope people will use these lesson plans and hand the guide to youth.